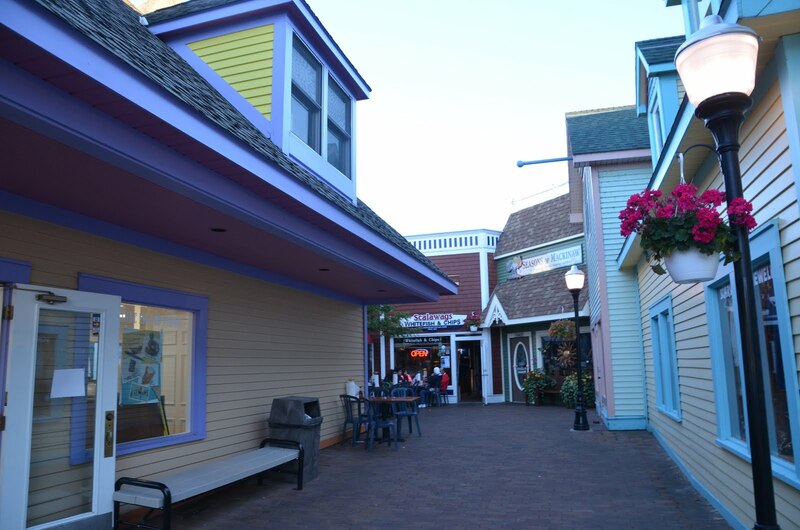 Today I'm reminiscing on a trip in August of last year to Mackinaw Island in Michigan. It's a beautiful place that I think everyone should visit at least once. Just such a peaceful place and like being a world away. And on any road trip, one of the things I get most excited about is the food. First of all, it's great to be on vacation and not have to worry about cooking (we've done a lot of trips where we've been at a campground or resort or cabin where I still end up cooking meals), plus you get to try out eateries you've never been to and you get to eat like a local. In Mackinaw City, eating like a local means good seafood - particularly whitefish. So as we arrived in town in the late afternoon, my first mission was a dinner stop and I loved the casual spot we picked - Scalawags Whitefish and Chips. The place is nothing spectacular. It's in a little strip, so it's not facing the water and has a bitty dining room, but the food was very, very delicious. 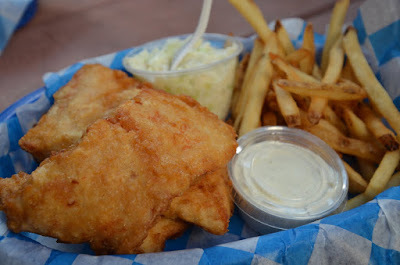 Who doesn't love fresh battered whitefish? We sat outside on a little picnic table in the courtyard area. They claim to use premium vegetable oils - low carb and zero trans fat. 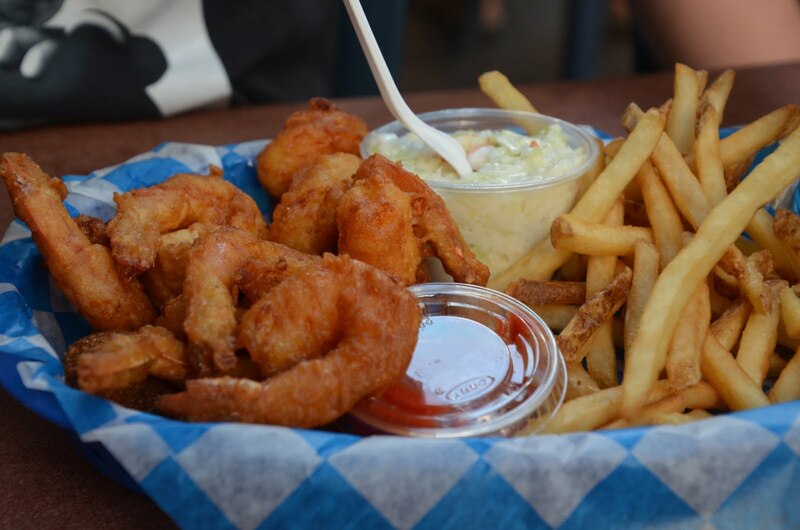 Of course, hush puppies come with baskets as well as fries and cole slaw. 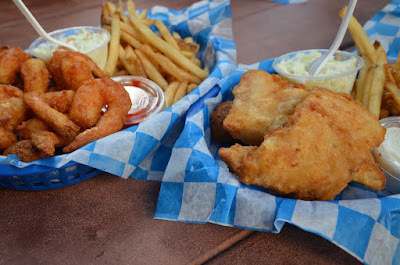 They also serve perch, shrimp, walleye - and for those who don't eat seafood - chicken fingers, hot dogs and ham, grilled chicken or turkey sandwiches. They also serve Scalawag's Famous Homemade Whitefish Chowder. Kid meals are generous - a whitefish meal for kids is $5.49. Baskets for grown ups start at $7.89. The place is totally worth a stop for a swift meal if you're looking for some good local grub for lunch or dinner.